At the end of last year I started writing a regular column for The Wharf News, a weekly newspaper distributed in the Canary Wharf area of London. Aptly titled ‘Virtual Viewpoint’, the column gives me the opportunity to share my thoughts on technology and science. I’m really enjoying writing these columns and looking at the impact technology and science have on our lives and businesses. I often use my running time to think about my column and how technology is impacting the world – and I’ve had a lot of time to think lately since I’ve been training for the London Marathon! Sometimes I find myself reminiscing and taking a walk down memory lane; sometimes I find myself contemplating our digital future; sometimes I find myself analysing technology’s impact on businesses. At the end of my runs, I often find that I’ve thought about things in a different way and come up with ideas I know I wouldn’t have otherwise. Virtual Viewpoint :: 30 November 2017 – I take a look at the current technological revolution and the impact artificial intelligence will have on jobs and quality of life. Virtual Viewpoint :: 4 January 2018 – I contemplate whether we are reaching a point of having too many gadgets and the issues of privacy and data protection that come with using them. Virtual Viewpoint :: 1 February 2018 – I think back to a time before instantaneous global communication and reflect on why we all need to find a way to escape the digital world. Virtual Viewpoint :: 8 March 2018 – I share my annoyance with people failing to communicate properly and how dumping ‘old’ methods of communication diminishes our lives along with companies’ profits. Virtual Viewpoint :: 5 April 2018 – I know my pro-Brexit view isn’t popular within the business community, but I believe this is a historic opportunity to build a global economy for UK businesses to thrive within. For those of you who are local, don’t forget to pick up a free copy of The Wharf every Thursday. I’ll also continue to add my new ‘Virtual Viewpoint’ columns on LinkedIn, so be sure to connect with me there. I’m sure I’ll be finishing the marathon on Sunday exhausted but with lots of fresh inspiration for my upcoming columns. On a personal note, I want to thank everyone who has supported my London Marathon fundraising efforts for Jewish Care. You can still sponsor me here. 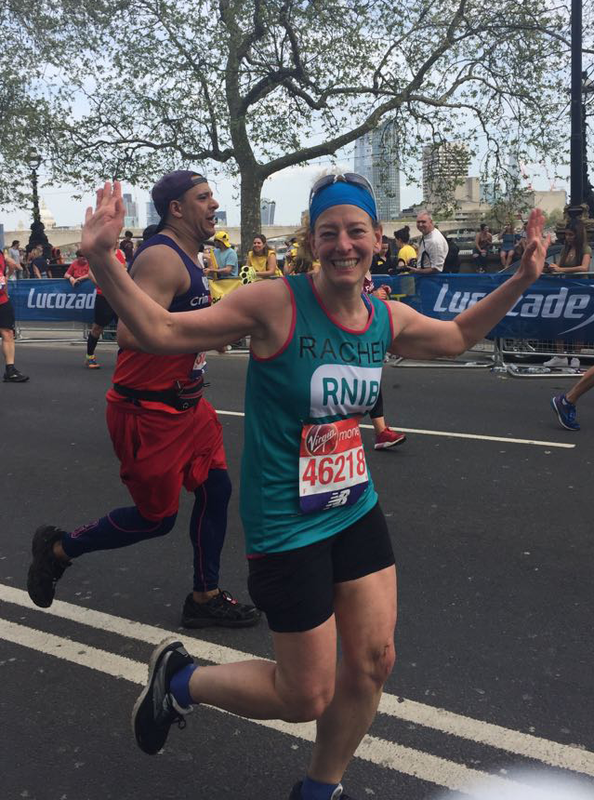 Good luck to my fellow Creative Virtual marathon runners – Rachel Freeman who is running for the Royal National Institute of Blind People (sponsor Rachel) and Maria Ward who is running for the Ipswich Hospital Charity (sponsor Maria)! See you at the finish line!